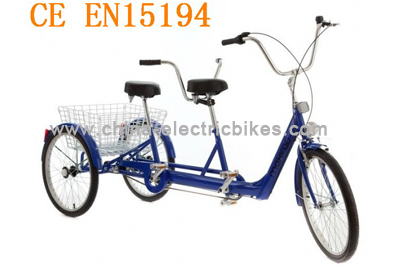 The electric assist tricycles are great fun for a couple. 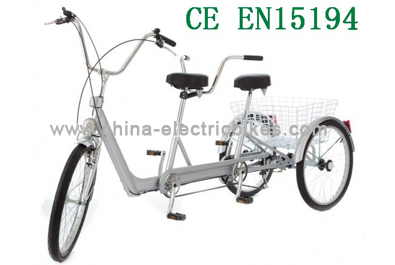 the tricycle electric allows two cyclists of different experience and ability to ride together. 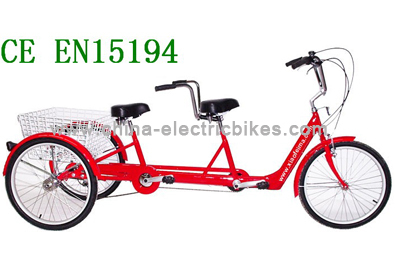 The tandem can allow a parent to enjoy cycling together with a child. 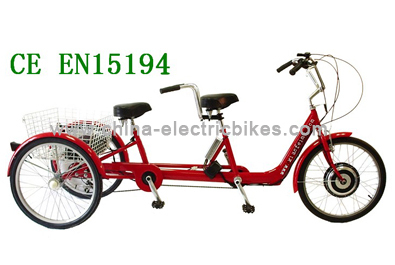 For many adult tricycle riders electric assistance is a feature that they would like to have. 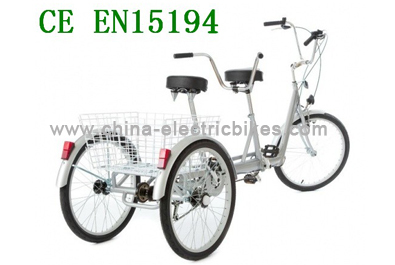 The new electric assist tricycle will meet their needs.It cruises at 15.5mph and with some pedal assistance will go for over 20 miles.This type of car is suitable for old man. They can drive to do exercise in park, go shopping and pick up the children. 1: These problems generally do not need to think too much, the main problem lies in the battery and battery cables, the terminals. First, the carton is opened, the battery check for broken line in series, the battery post oxide hydrochloride or excessive accumulation of such reasons, the detection, and universal form of visually substantially fail this problem, first, the water is ready then rinse the terminal, then pliers to pull a little harder to detect whether the wiring connected real, if loose or broken, then the wiring from the new reality can be.